Music Lessons. It’s what we do. Are you interested in learning a musical instrument? Or perhaps you already play and are looking to expand on your technique and music knowledge. I am an experienced music teacher that caters for all ages, levels and styles. Lessons are private, one on one, classes to ensure you get the personal attention you need to excel. Group lessons are also available for beginners who are looking for a relaxed class environment that allows them get feel for their instrument. Music lessons the fun way. All of our music teachers are friendly, patient and experienced and create a relaxed, encouraging and safe environment for learning music. 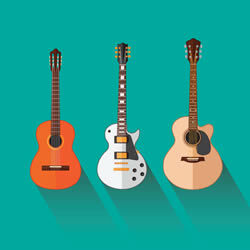 Whether your’e into rock, pop, classical, r’n’b, jazz, metal, fingerpicking, blues or any other genre, our music lessons are tailored to ensure you’re playing the music you love. Lessons 6 Days a Week. With lessons available 6 days a week, from early morning through to evenings, it’s never been easier to fit music lessons into your busy schedule. Music lessons for educational development. If you’re studying music at school, high school, college, university or other music institutes, you can greatly benefit from our music lessons. 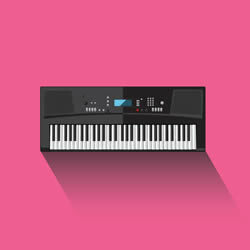 With a strong emphasis on technique, theory and musical knowledge, we can assist in helping you get the best grades possible. Our expert music teachers are greatly experienced in both music exams and performing, and are also available for accompaniment for performances and auditions. Copyright © 2019 Music Tuition Studio. All Rights Reserved.